The Candy Book, referenced in a previous post, holds several of the confection secrets I’m interested in unlocking. As for the book itself, the binding’s a bit tattered, and the fragile pages are supple and soft from many years of wear. I love scouting out the old and imagining it in the present, in books and in confection. I can’t remember the first time I had Putnam’s Opera Creams as a child in Cincinnati; however, the luscious texture of the silky vanilla cream center as it oozed out against the bite, juxtaposed with its dark chocolate exterior has lingered indelibly in my memory as a seductive pleasure. I can still see the shimmery silver box. Simple ingredients in alchemy. Sugar, cream, glucose, vanilla extract. What will they bring? I decided not to commit chocolate to the process until I knew the center was stable. At least the recipe was standardized, the mixture cooked to 240 degrees. Vigorous beating and kneading alternated with active waiting and watching. 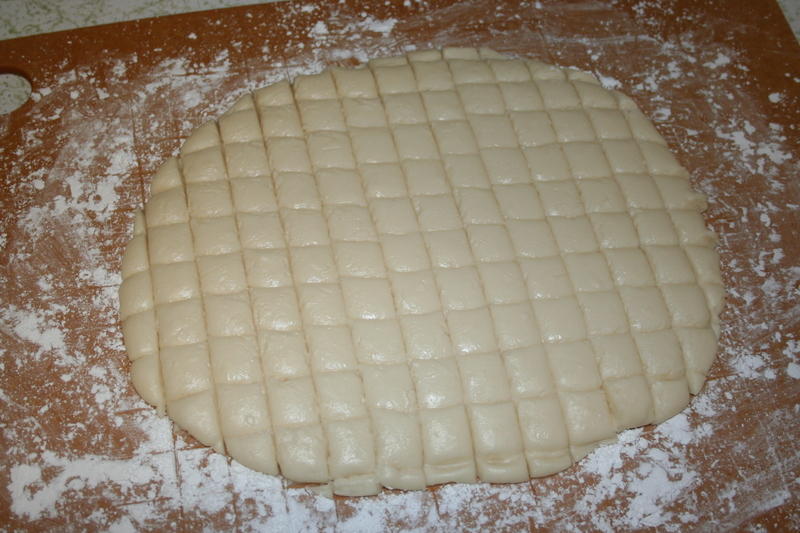 The cooked mixture rolled successfully on a confectioner’s-covered surface. It scored. We, the opera cream and I, waited the requisite 24 hours for it to set. took my eye off the ball [blade]. In trimming the scored mixture, I did the unthinkable… I motioned the knife toward me instead of away. I had just had my knives professionally sharpened. The result was a slice (not an edge tap of the blade) out of the little figure on my left hand, which bled profusely. The balance of the evening was spent in the ER. 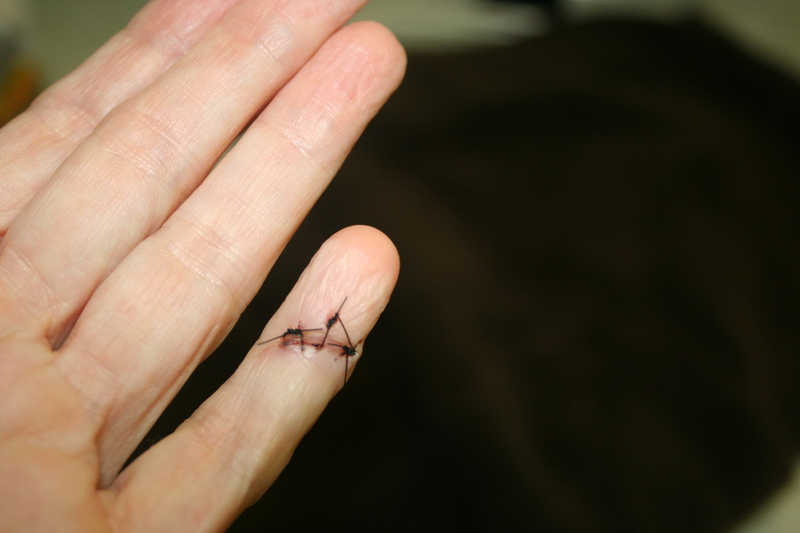 Three stitches. Big lesson. So… the opera cream. Not quite as gooey as the opera cream of my youth, but equally tender and delicious. I believe the intention of the recipe was for the product to be cut and served individually. What I made makes a great center, but its delicate texture as a stand-alone confection is still a question mark. An education on all fronts.